Medication therapy is a critical therapeutic component of treating disease and keeping people healthy. The Centers for Disease Control (CDC) says that 76% of physician visits involve drug therapy. It's predicted that 4.25 billion prescriptions will be written in 2019 in the United States alone. Yet, despite all the evidence that medication therapy improves outcomes, despite provider efforts to follow therapeutic pathways and encourage adherence, and despite the good intentions of clinicians to prescribe the right medicines at the right time for the right reasons, the truth is that a good number of these prescriptions will not be effective. And a certain percent will actually cause patient harm. There are many reasons for this. Patients fail to fill or refill a prescription, or don’t adhere to taking it correctly. Busy clinicians don’t always have the time to fully review and optimize drug regimens, or educate patients and families about what they are taking and why. Clinic and hospital staff are unable to conduct a thorough and accurate medication reconciliation due to lack of access to a patient’s complete medication history, or the patient’s inability to recollect their regimen. Regardless of the reason, the outcome is the same: suboptimal medication therapy, which does not result in good outcomes, and carries a high cost in dollars, deaths, and quality of life. The good news is that a well-developed and effective medication management program can improve this significantly. The two most common programs being used to achieve optimal therapeutic treatment and follow up are Medication Therapy Management (MTM) and Comprehensive Medication Management (CMM). The two are often used interchangeably, however, this is not accurate. There are a number of distinct differences in each program type’s approach and elements. In this blog, I’d like to provide some background about MTM and CMM, and clarify what makes them different. Medication Therapy Management (MTM) is a service born out of the passage of the Medicare Prescription Drug Improvement and Modernization Act of 2003. That was the start of Medicare Part D, the first outpatient prescription drug benefit for Medicare beneficiaries. Included in the legislation was a requirement that certain Medicare Part D recipients which chronic illnesses should receive counseling, in an effort to contain costs and help patients better manage the complex aspects of treating their medical conditions. According to an American College of Clinical Pharmacists (ACCP) leadership paper, MTM is defined as encompassing a range of services provided to individual patients intended to optimize therapeutic outcomes and detect and prevent costly medication problems. Essentially, MTM is a medication focused approach to optimizing drug therapy, in which pharmacists are engaged to ensure an accurate and updated medication list, enhance safety, and improve adherence and access. Activities performed in an MTM service include checking for drug-drug interactions or duplicative therapies, assessing the regimen for less costly medications, and answering patient questions. 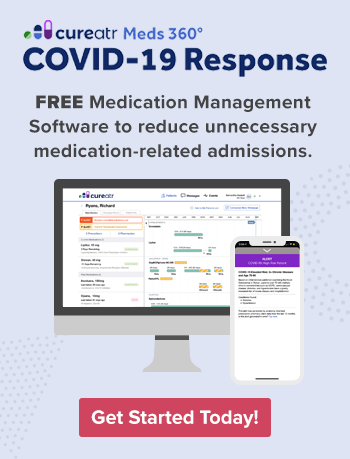 More recently, MTM services have begun to include medication refill synchronization programs to increase patient convenience and reduce the opportunity for missed pick-ups, which in turn can improve adherence. MTM is reimbursed fee-for-service (FFS) by Medicare Part D and many commercial payors. The requirements for identifying eligible patients, billing, and documentation for services rendered vary by payor, as do reimbursement rates and pharmacist certification requirements. A performance payment, in the form of increased direct premium subsidies for plans that successfully achieve a certain level of reduction in fee-for-service expenditures and fulfill quality and other reporting requirements. So far, E-MTM is achieving some success. A first year fact sheet posted on November 30, 2018 indicated that for the program's performance year 2017, participants in the model spent approximately $325 million less than the anticipated spending benchmark 1 across the 1.7 million beneficiaries enrolled in participating plans. The bottom line: MTM is effective at ensuring patients adhere to a regimen that keeps their condition managed and reduces the risk of ADEs and other harm, thereby reducing overall costs. It’s focused on optimizing the medications prescribed by clinicians for the conditions that are being treated. It's proving to be an expense reducing initiative for Medicare and payors, and is reimbursable under FFS payment schedules. Comprehensive Medication Management (CMM) is a whole-person approach that considers more than just the medication list. A CMM effort focuses on the patient and the clinical and personal goals of therapy, rather than relying solely on the knowledge of the currently prescribed medications as a baseline for interventions. CMM services encompass the patient’s condition, clinical history, interventions tried and failed, past and present lab and test results, problem list, and clinical notes from the electronic health record (EHR). With roots in PCMH and ACO arrangements, CMM is aptly termed “comprehensive” because it considers each patient’s overall condition, history, comorbidities, and specialty needs - as well as his or her medications. CMM is fundamentally separate from the pharmacy dispensing role. Often the program is set up within primary care or group practice locations designated exclusively for pharmacists to assess patients and deliver medication management services. To enable this level of patient care, successful CMM programs have established broad, collaborative practice agreements between pharmacists and physician organizations. These written agreements enable pharmacists to address all of a patient’s drug therapy problems quickly and efficiently, which includes adding, removing, or changing medications without physician approval (but in alignment with clinical protocols). In fact, this is the big differentiator in CMM: that the pharmacist functions as part of the care team, and interacts regularly with the primary care physician, specialists, nurses, and other clinicians. 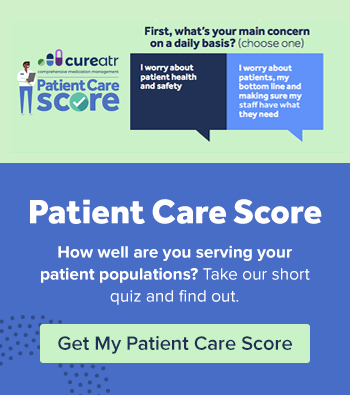 He or she has access to the patient’s EHR data, performs patient assessments, and educates patients and family members about the reasons for each medication and why adherence is essential. Often, the pharmacist maintains patient hours on-site in the clinic or health system, or rounds with clinicians to see patients. Or, patient interactions may take place remotely, using a telehealth platform. That the clinical pharmacist acts as a care “provider” - noted in quotes because only a handful of states have passed legislation to define them as such to allow them to bill as independent providers - is the true mark of CMM. And, unlike MTM’s mixed, early results, data shows a clear and significant financial return on investment, ranging from 2.8-to-1 to 12-to-1. Although many patients and providers aren’t fully aware of CMM, it’s not a new approach. It’s been around for decades and has been deployed in large staff model organizations such as Kaiser Permanente, Geisinger, and HealthPartners. The approach fits nicely within PCMHs, accountable care organizations (ACOs), and other organizations that take risk. And that is key to mention, because at this time, unlike MTM and E-MTM, CMM programs are not FFS reimbursable. All that said, however, it’s true that CMM is “in the early stages of becoming mainstream,” according to results of the market research study, Get the Medications Right: a nationwide snapshot of expert practices, which included input and case examples from 935 pharmacy practitioners and program directors. Once that happens, we may see FFS reimbursement for this service. The bottom line: Comprehensive Medication Management offers a much more advanced, coordinated level of MTM. Its focus is on treating the whole-patient, with the goal of optimizing outcomes not only a particular condition or disease state, but for all conditions, using the best course of medication therapy. In a CMM program, the pharmacist is part of the care team, and as such, requires access to, and ongoing knowledge, of the patient’s clinical status and the clinical goals for the medication therapy. This requires close cooperation between the pharmacists delivering these services and the entire clinical team. We’ve compiled some of the key characteristics and differences between MTM and CMM in the following table. If you’re looking for a deeper dive on this topic, I recommend reading Get the Medications Right, referenced several times in this blog, as well as the groundbreaking resource guide by the Patient-Centered Primary Care Collaborative - Integrating Comprehensive Medication Management to Optimize Patient Outcomes. No - CCM is used as a cost reducer for patients being managed under risk and value based care contracts. *Such arrangements enable pharmacists to add/remove medications and change doses. Centers for Medicare & Medicaid Services (CMS). A Physician's Guide to Medicare Part D Medication Therapy Management (MTM) Programs. MLN Matters Number SE1229. Daniella Perlroth, et. al., Accumen, LLC; Lois Olinger, et. al., Westat; Therapy Management in Chronically Ill Populations: Final Report, August 2013. https://innovation.cms.gov/files/reports/mtm_final_report.pdf. Last accessed, 1/5/19. S. Lawrence Kocot, Realigning Medicare Part D Intengives: a new model for medication therapy management, Brookings Institute, September 29, 2015. https://www.brookings.edu/blog/usc-brookings-schaeffer-on-health-policy/2015/09/29/realigning-medicare-part-d-incentives-a-new-model-for-medication-therapy-management/. Last accessed: 3/26/19. Centers for Medicare and Medicaid Services, Part D Enhanced Medication Therapy Management Model First Year Performance Based Payment Results Fact Sheet, https://innovation.cms.gov/Files/x/mtm-firstyrresults-fs.pdf. Last accessed, 1/5/19.